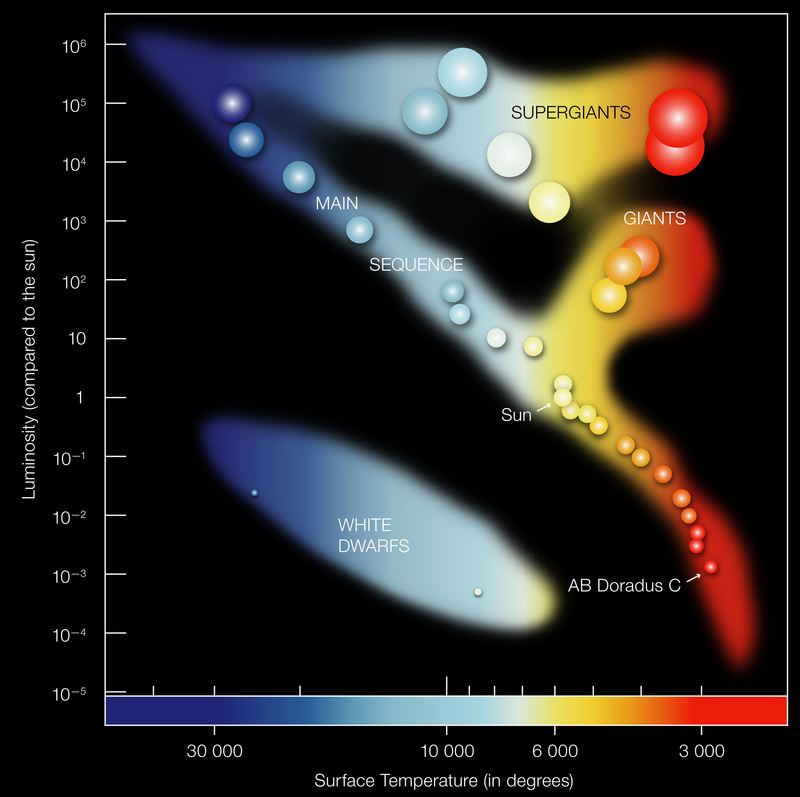 In the Hertzprung-Russell diagram the temperatures of stars are plotted against their luminosities. The position of a star in the diagram provides information about its present stage and its mass. Stars that burn hydrogen into helium lie on the diagonal branch, the so-called main sequence. Red dwarfs like AB Doradus C lie in the cool and faint corner. AB Dor C has itself a temperature of about 3,000 degrees and a luminosity which is 0.2% that of the Sun. 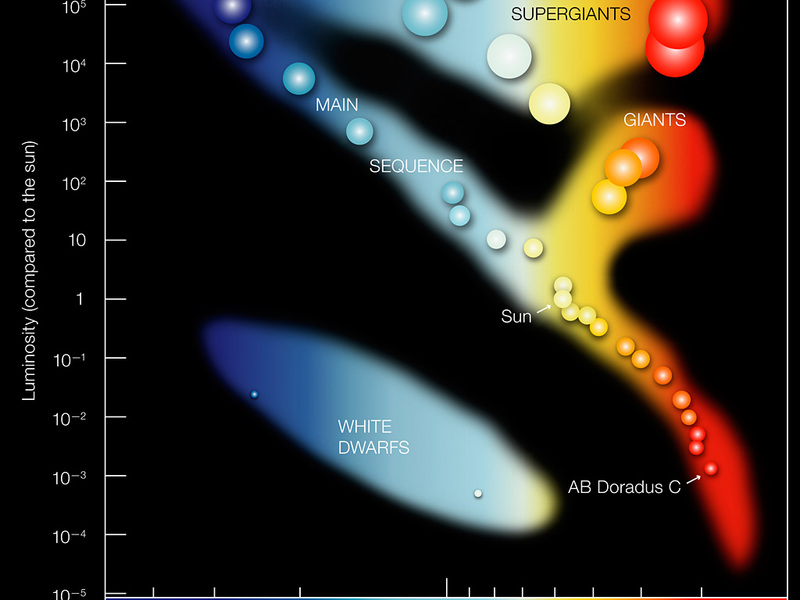 When a star exhausts all the hydrogen, it leaves the main sequence and becomes a red giant or a supergiant, depending on its mass (AB Doradus C will never leave the main sequence since it burns so little hydrogen). 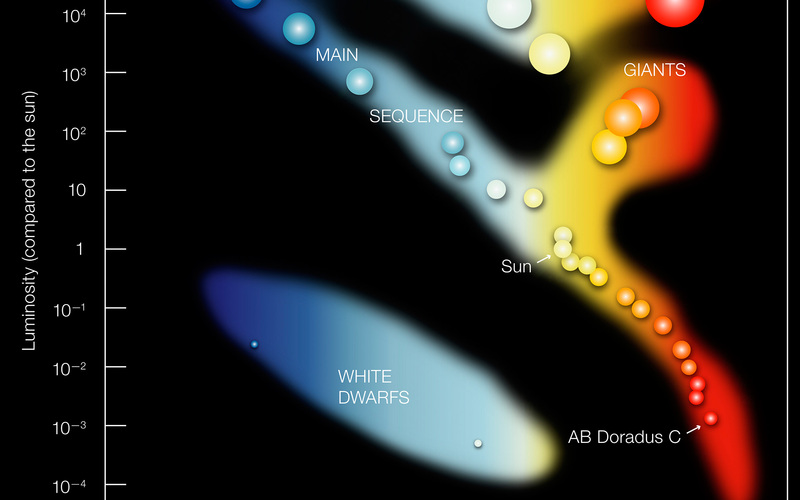 Stars with the mass of the Sun which have burnt all their fuel evolve finally into a white dwarf (left low corner).